I devote April on motivation because I really need it a lot. Yes, I confess. I have to find a way to motivate myself more because I have set a huge goal this year, and it seems like I’m not doing anything about it. I am giving my best, but gradually my motivation falls, and therefore I am not that productive. In the previous post, I wrote about what motivation is and how to raise it. You can check that post here. Now I want to share great motivational books with you that I think will be useful to you for many other things. My goal to read at least two books a month goes well this year, and I’m pleased that I succeed in that. The most important thing I learned from this journey is that every book is motivational. But, why some of them are more and some less? 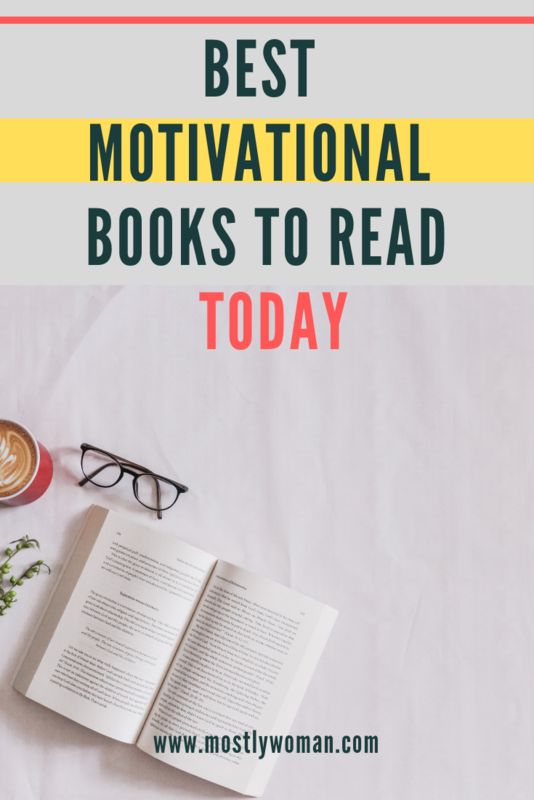 If you have to choose a few books that really motivated you – which books would you choose? Motivation aligns you to work towards your goals. For more information read our disclosure policy. If you are interested in self-help books and learn how to be effective and more successful, this book is a great choice for you. This was the first book on my TO READ list for this year and I am very glad because this book is responsible for my motivation to read at least two books every month. For me, this is very motivational book and it gives you guide how to think to be happier, more successful and live a better life. If you worry too much about what others think about you, and if you want to figure it out what you really want in your life, You Are a Badass is a great motivational book for you. It is time for you to decide to STOP caring what others think! Learn how to change your surrounding and live the life you deserve. 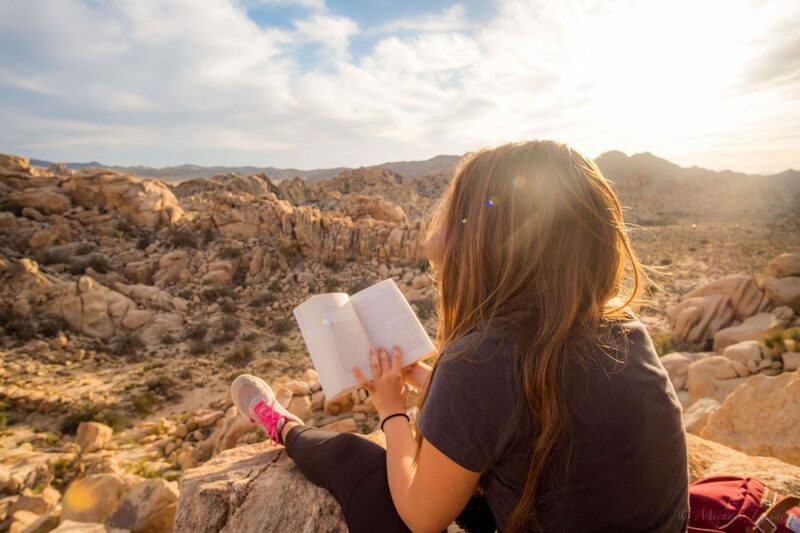 I couldn’t decide which book from Tony Robbins to choose, but I think that this is a great choice if you are on a personal development journey, want to know your purpose, and ready to take control of your whole life. EVERY book from Anthony Robbins is a motivational book – he is simply the best. I have to admit that this book was a little boring for me. But I read a lot, and most of the things in this book I knew because I love Mel Robbins and follow her YouTube channel. This is a great motivational book especially if you are already aware that you are in charge! Support is very important, but the most important thing in life is knowing how to push yourself. So if you want to stop procrastinating – this is the perfect match. I love old books especially when they become a classic and are very popular decades after. Hill explains in this book how very few people know what their life goal is and the others are trapped in jobs that make them unhappy. The author shares a few strategies in order to upgrade your life. This is one of my favorite books of all times, and also the first book that taught me how to live. No, I didn’t understand the whole book the first time. I was 12 years old and didn’t have a clue about life. But 10 years later, this book opened my eyes. Paulo Coehlo is my favorite author and I love all of his books. Why is The Alchemist a motivational book? This book is full of inspirational wisdom. It is not a self-help book, this is a novel. But a very educative novel about the life purpose, love and passion. Also, this is the book I plan to give my son when he is 12 years old too. This is not the first time I recommend Louise Hay. But she “healed” my life and I am very grateful. 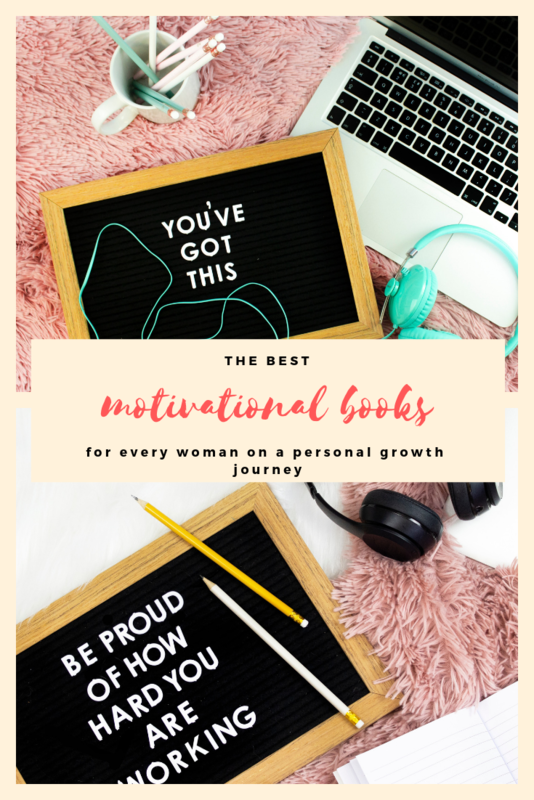 I couldn’t decide which book from her is the most motivational book, but I decided to share with you this one. Isn’t the title motivational enough? Louise Hay is a wonderful woman. This book is a self-help bestseller, and there is a good reason for that. There is also a documentary film about this book. I hate to write book reviews because everyone has a different perspective. One thing I know for sure, this book will motivate you and will help you to heal your life. Psychosomatic illnesses are the reason I became a psychologist, and this book motivated me to do that. If it wasn’t this book maybe I wouldn’t be what I am today. Great present, yes? I wondered why this book was so motivational for him. This book advocates the importance of financial education, and the author shares excellent tips for investing. It was a New York Times Bestseller and it is still very trendy. As I said at the starting, all books are motivational books. When I think about it, all the books I liked motivated me to become a better person. I’m currently reading a book for raising a child. I did not put it in this list, but the book truly motivates me to be calmer, to try to listen to my child, but also to learn how to communicate with him. I hope you like this type of posts, and I’ll soon share more books with you. Ahh there’s so many good ones on this list! I hope to read all of them! Thanks for sharing! Great suggestions! I’ve read most of these, but now realize I need to go back and re-read them! Yes, I always re-read books, especially if they are self-help and motivational. These are some great recommendations! Most of the books on this list are my favorite too. I love to watch Mel Robbins and Tony Robbins’ videos as they are a quick source of motivation. Somebody gifted Louise Hay’s book to my father and I am reading it nowadays. I must say this book changed my perspective to look at life. These look like great books to read when I need a pick me up. Thank you for the recommendations. I’m a rabid consumer of motivational books. I’ll be adding some of these to my list!